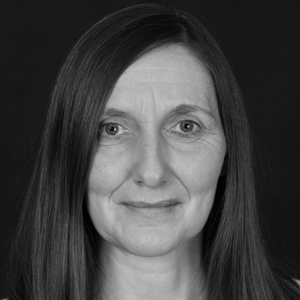 Anne Griffin – Zeno Agency Ltd.
Anne Griffin was born in Dublin and now lives in County Westmeath, in the heart of Ireland’s midlands. An acclaimed short story writer, Anne is the recipient of the John McGahern award for emerging writers in 2017. She has been previously shortlisted for the Hennessey New Irish Writing Award, The Sunday Business Post Short Story Competition and The Benedict Kiely Short Story Competition, amongst others. Her work has been published in The Irish Times, The Stinging Fly, Ireland’s Own, The Lonely Crowd, For Books’ Sake, The Ogham Stone, The Honest Ulsterman, The Incubator, Bunker, Cork County Libraries Short Story Collection, and the forth coming winter edition of Crannóg. A graduate of UCD’s MA in Creative Writing Programme, Anne is a recipient of an Arts Grant from Westmeath County Council. Alongside her writing, Anne’s career has encompassed many years working in the charity sector and eight years with Waterstone’s Bookseller where she worked in both Dublin and London. Anne is married with one son. WHEN ALL IS SAID is her debut novel. In 2018, the Irish Times published one of Anne’s short stories, ‘Change Given‘. You can also read an interview with the author over on Goodreads.